Look Who’s on TransitioningMovement.com Now!! That’s right!! It’s Weusi’s turn!! LOL!! When Carol’s Daughter was seeking pitches for TransitioningMovement.com, they were interested in male perspectives too. So, of course I had to put Wei on it!! Now … see, what had happened was … he wrote this post for me last summer … and I just never got around to editing it for the blog!! #boohiss. LOL!! But now it finally gets to see the light of day!! 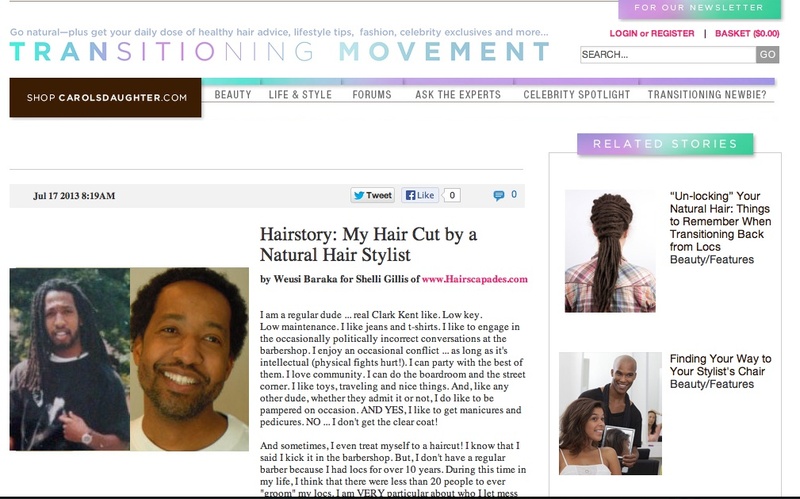 Read the full article here: My Hair Cut by a Natural Hair Stylist. Hope that you guys will check it out and comment ;)!!! That was good! Headed to the bald head? I like!